Honestly -.- This week who the new State Senate Majority’s Communication Director will be, Michaela Goertzen. What is impressive about her hiring isn’t so much anything about her as the person who hired her. I asked Senate President Kevin Meyer why he chose Goertzen and he said it was her strong print and speech writing skills. He was quite open about that being a particular weakness of his, his caucus members, and staff. It was a refreshingly open bit of team assessment for a legislative caucus leader. Good for Meyer. 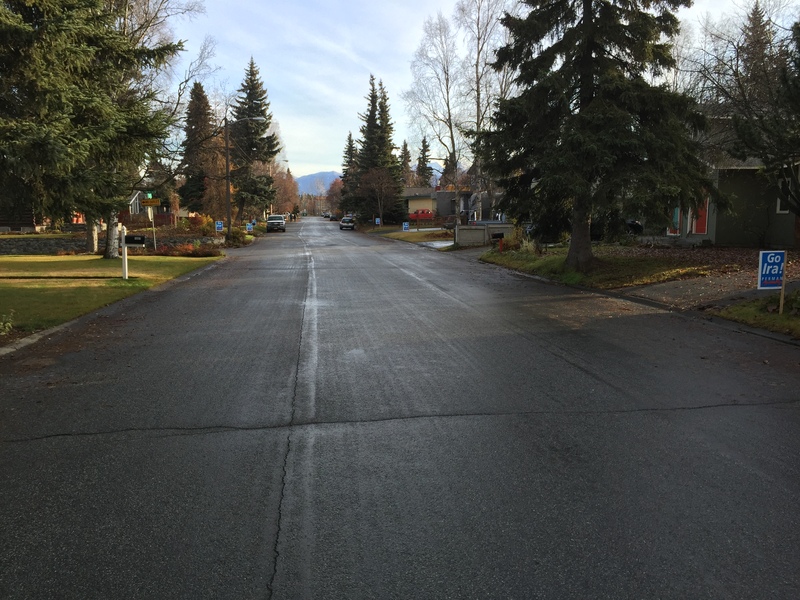 Homecoming -.- With the special session starting Fairbanks Rep. Scott Kawasaki is bringing on-board Mercedes Birdsall to staff his finance committee work. Birdsall moves back to Alaska from D.C, where she was working for big time consulting firm The Northstar Group that sports among its strategic partners Governor Walker favorite Jack Ferguson and the Mayor’s wife/aide Mara Kimmel. Before that Birdsall worked in former Sen. Mark Begich’s office and the state legislature. So it’s a homecoming of sorts for Birdsall. 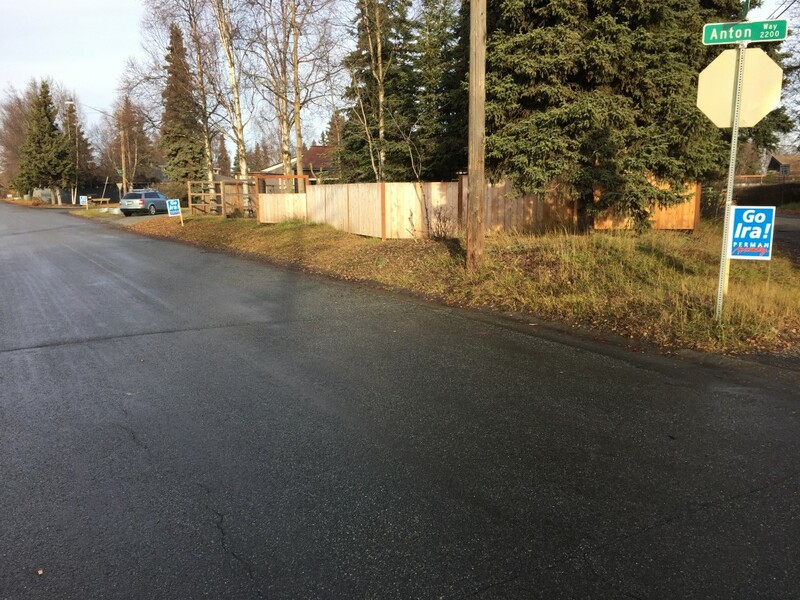 Sad News -.- Word is Dr. David McGuire, father of Senator Lesil McGuire and a long-time fundraising fixture in Anchorage Republican politics has passed. Condolences to his friends and family. The Name You Know…Kinda -.- The state house district currently held by Rep. Charisse Millett is so torturous for Democrats. The last two elections Millette has beaten Democrat Patti Higgins by 9 points and 11 points respectively. That’s close enough it allows Dems to hold out hope that under the right circumstances they might just pull off a win. So the solution they are kicking around this year? Since it would be foolish to run Patti Higgins again, word is they want to run her husband and school board member Pat Higgins. Maybe they can just use a blue marker to fill in the “TI” on her yard signs. Winning!!!! 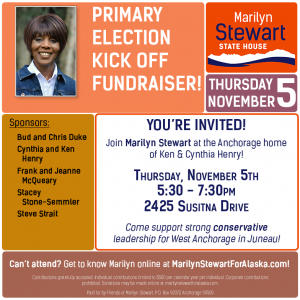 Strategery -.- In the middle West Anchorage assembly candidate IRA! Perman and his trusted lieutenant Nick Moe are super proud of the fact they have blanketed Spenard neighborhood around competitor Eric Croft’s house with IRA! yard signs. I drove over and sure enough they are everywhere. 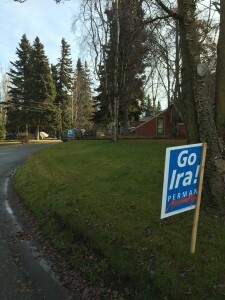 That’s a good sign for Ira, because the two things I know absolutely guarantee victory in elections are winning the yard sign wars and having the most sign wavers on election day. No, seriously, there are people that really believe that. None of them get elected, but they exist. 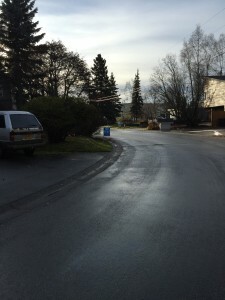 Turnabout -.- I didn’t post this last week because I did n’t know if it was fair to the Alaska Republican Party (ARP) to post a Facebook picture of something their employee did before they were on the job. The ARP let me know I was wrong when they spread this pic of State Attorney General Craig Richards. 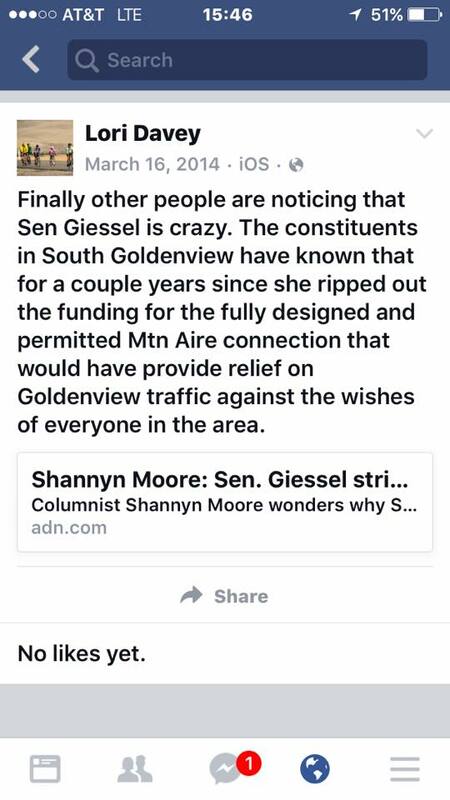 Fair enough, so here is a Facebook screen grab of their new Director of Candidate Recruitment Lori Davey sharing her thoughts on Republican Senator Cathy Giessel. 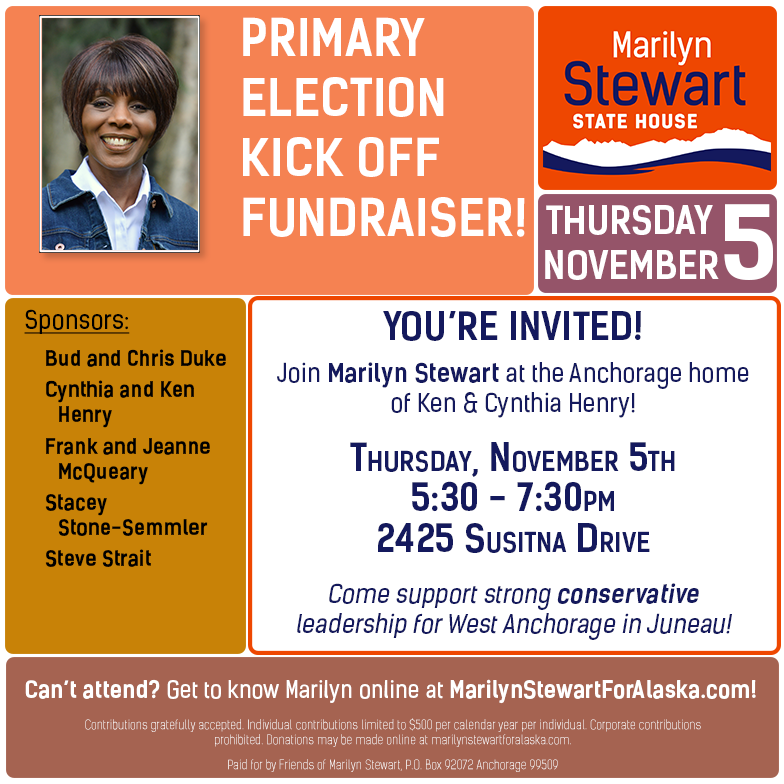 Just in case you missed it..THAT IS A SHANNYN MOORE COLUMN THE AK GOP’S NEW CANDIDATE FINDER IS TOUTING. Soooo Valley -.- Rumors are flying in the valley that Sen. Charlie Huggins won’t be running for re-election and Wasilla Rep. Lynn Gattis, will slide over to run for his seat. 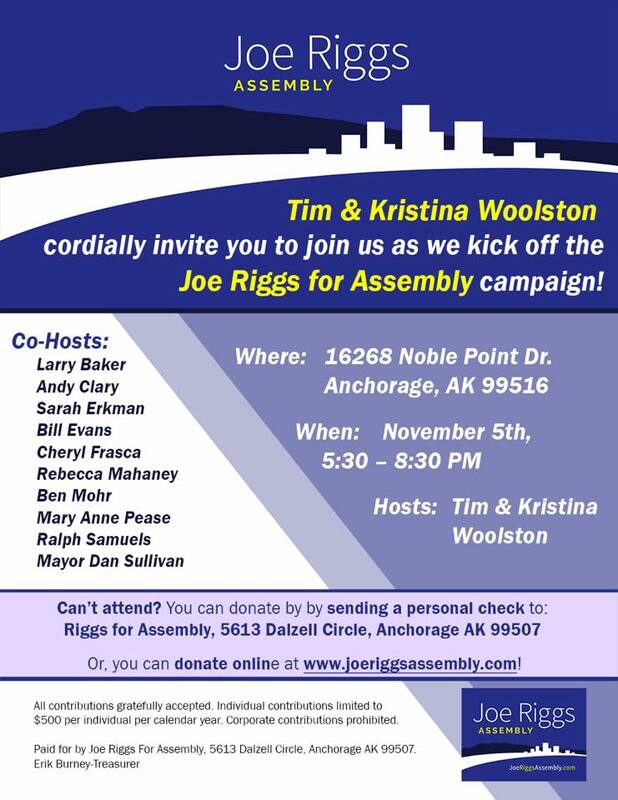 Gattis directly and flat out denies the rumors, but they are swirling so strong she has attracted two primary challengers, Brandon Montano and Wasilla City Councilman Brandon Wall. The weird thing is neither appear to actually want to run against Gattis. I asked Wall about running for Gattis’ seat and he said “It’s not like I’m running against her, I mean, my signs are in her barn.” How adorably valley is that? 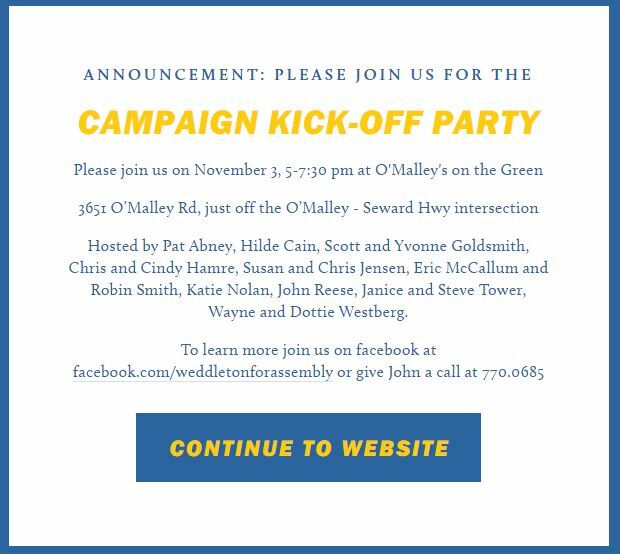 With all the legislators out of town for the special session it’s a good time for a campaign kick-off. There are plenty to choose from next week. 1 Comment on "Friday In The Sun (October 30)"
That would be former Mayor Dan Sullivan in the Joe Riggs ad.